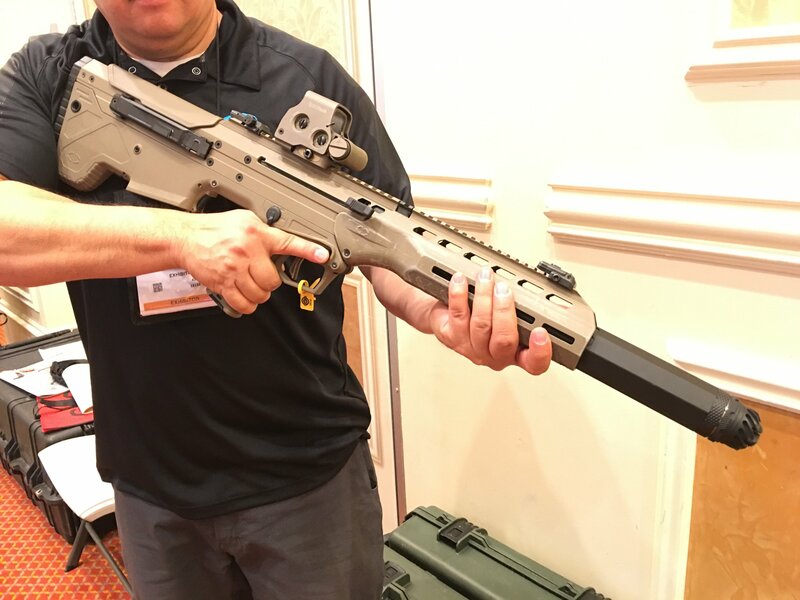 Integrally/Recessed-Suppressed Desert Tech DT MDR (Micro Dynamic Rifle) with Operators Suppressor Systems (OSS) Silencer/Sound Suppressor! (Video!) | DefenseReview.com (DR): An online tactical technology and military defense technology magazine with particular focus on the latest and greatest tactical firearms news (tactical gun news), tactical gear news and tactical shooting news. 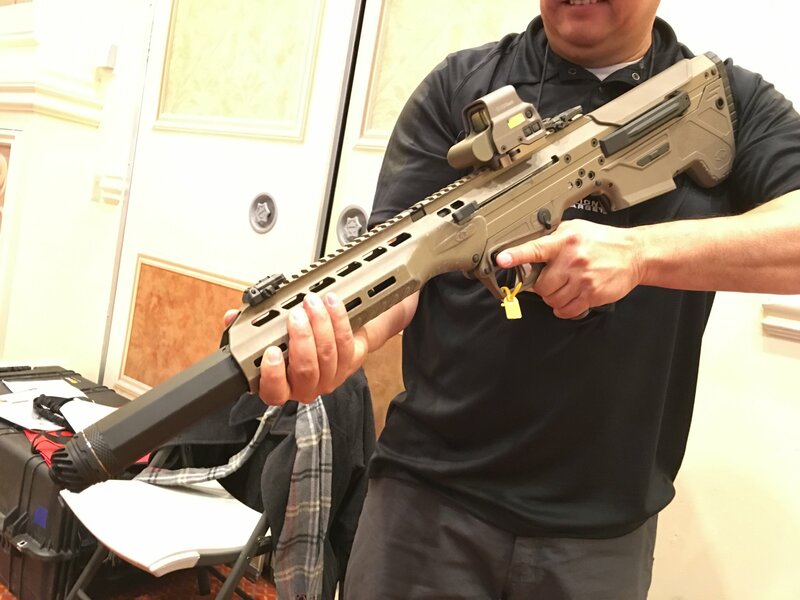 Desert Tech had a very interesting integrally/recessed-suppressed Desert Tech DT MDR (Micro Dynamic Rifle) (advanced/late) prototype at SHOT Show 2016. The gun sported an integral “zero-back-pressure” Operators Suppressor Systems (OSS) muzzle can (silencer/sound suppressor) that was specifically developed for the MDR. The suppressor you see in the accompanying photos and embedded video below has an octagonal housing, but Desert Tech Design Engineer and MDR project manager Corey Newman just told DefenseReview (DR) that DT and OSS are developing a round OSS suppressor specifically designed to better fit under the MDR’s modular M-LOK tactical handguard/forend rail tube. Defense Review has written about OSS Suppressors in some detail, and discussed and displayed their jet-turbine-like internals, which are very interesting. 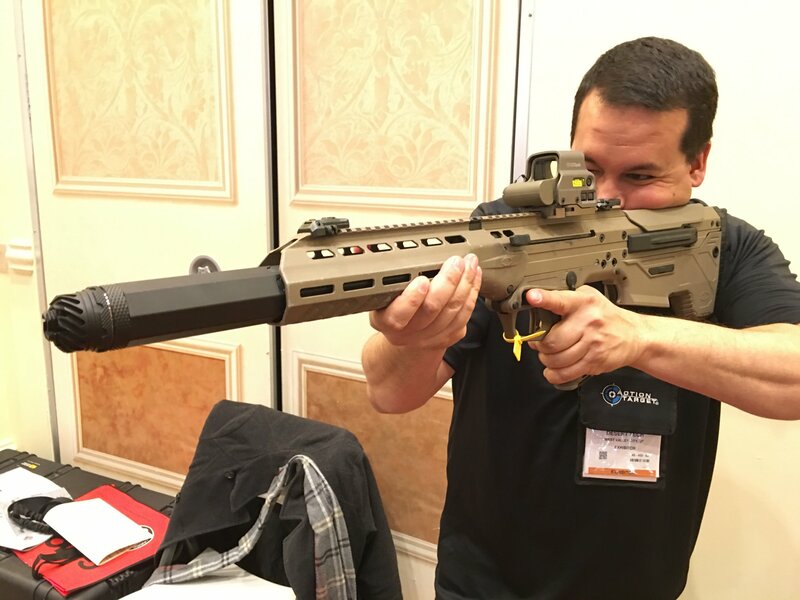 We’ve actually been covered the proprietary “zero-back-pressure” OSS suppressor tech, albeit a less-advanced form of it, since 2012, when the company was still called Bravo 18, shortly after we first came across it at NDIA Joint Armaments Conference 2012 in Seattle, Washington. The technology immediately intrigued us, for obvious reasons, including the fact that you can run the gun on the normal setting, rather than the “suppressed” gas setting when running an OSS can. Anyway, the DT MDR tactical rifle/carbine is currently slated to go into production sometime during “second quarter 2016”, which is pretty soon. It’s DR’s understanding that the MDR-C (Compact or Commando)> is currently scheduled to go into production sometime during fourth quarter 2016 (unconfirmed/unverified). DR is actually really looking forward to seeing an OSS-suppressed DT MDR-C, at some point. In the meantime, enjoy the photos and video. 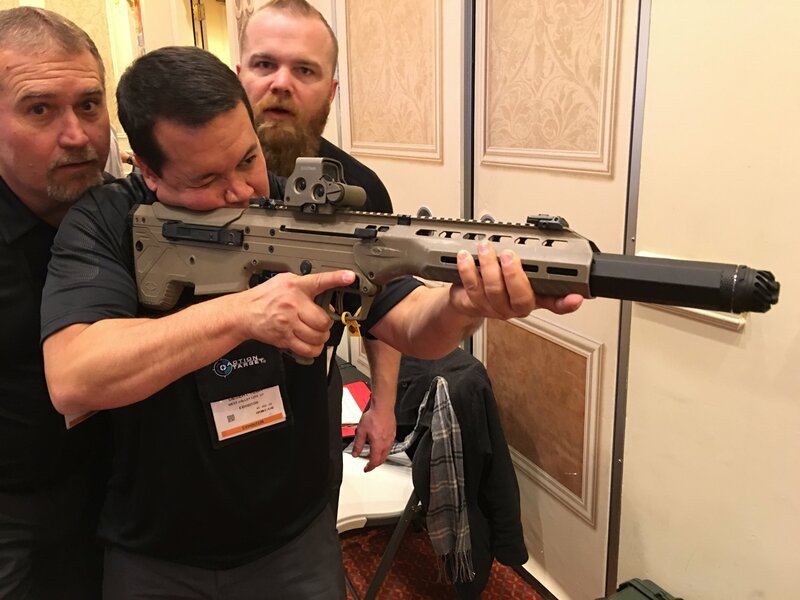 Editor’s Note: There would appear to be some internal executive management drama occurring over at Operators Suppressor Systems. 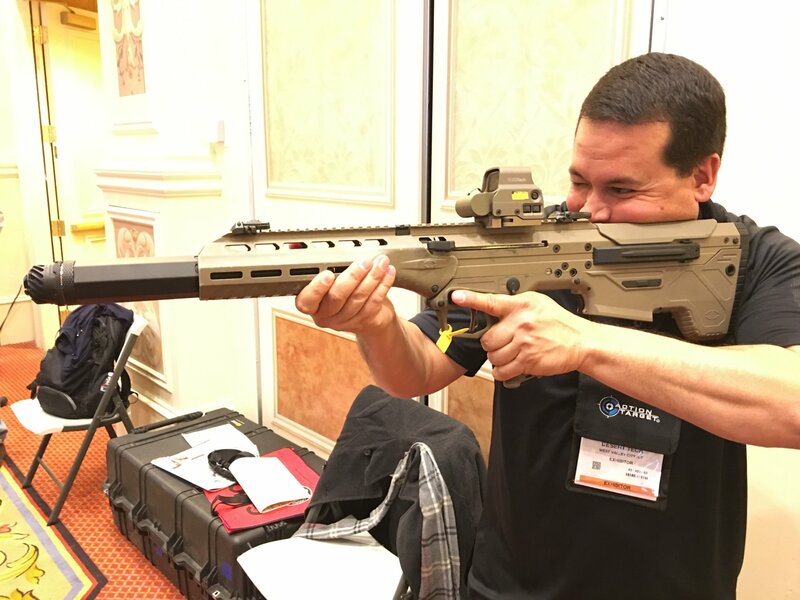 OSS Suppressors Founder and (now former) President Russell (Russ) Oliver has reportedly just resigned (as of 2/22/16) from the company, according to Soldier Systems Daily (SSD). DR Exclusive! 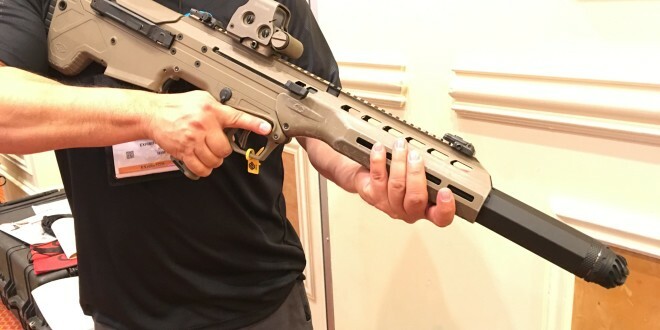 : Latest Desert Tech DT MDR/MDR-C (Micro Dynamic Rifle) Design and Development Improvements as Gun Approaches Production! Desert Tech DT R7S Lightweight Ambidextrous 7.62mm NATO/.308 Win. Bolt Action Precision/Sniper Rifle/Carbine with Ambi-Bolt/Charging Handle, Folding Stock and Ultra-Lightweight (3.2 lbs) Chassis!